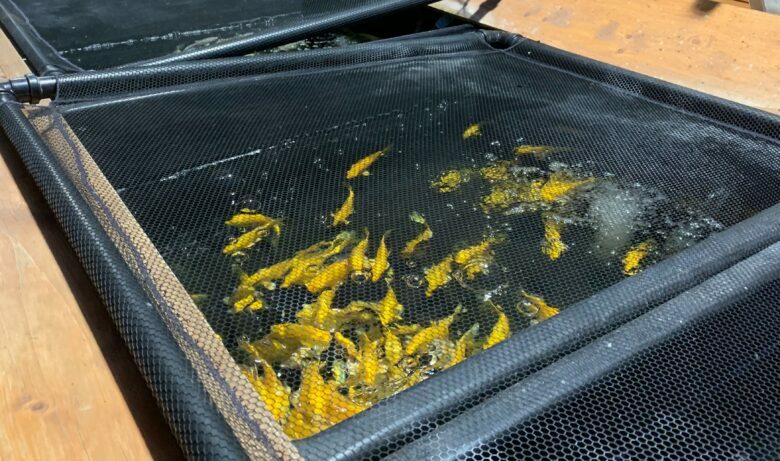 Conditions have been mild this winter and a number of our stores have pond fish in vats awaiting the return of warmer weather. In most circumstances it’s best to wait until spring to add new fish to your pond and traditionally Easter marks the start of the pond season. In the meantime, this is an excellent time of year to plan and prepare a new pond for beauties such as these gold Ogon koi. It’s always tropical in discus tanks and even though these fishes are now far removed from their Amazonian ancestors, they still have a preference for balmy high end tropical temperatures. 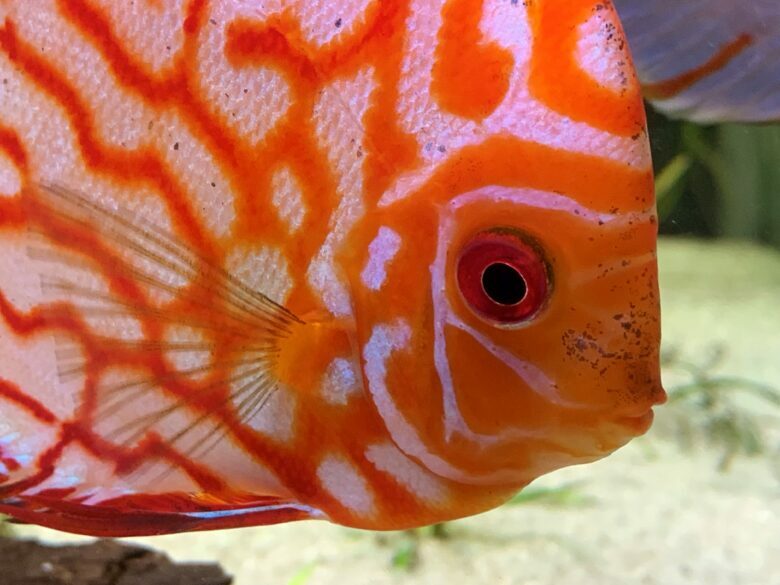 Domestication and skilled breeding have led to gaudy strains such as this Stendker discus (Symphysodon var.) at Cambridge, which are no more challenging to keep than Oscars (Astronotus sp.) and don’t thrive in the same conditions that their wild kin demand. 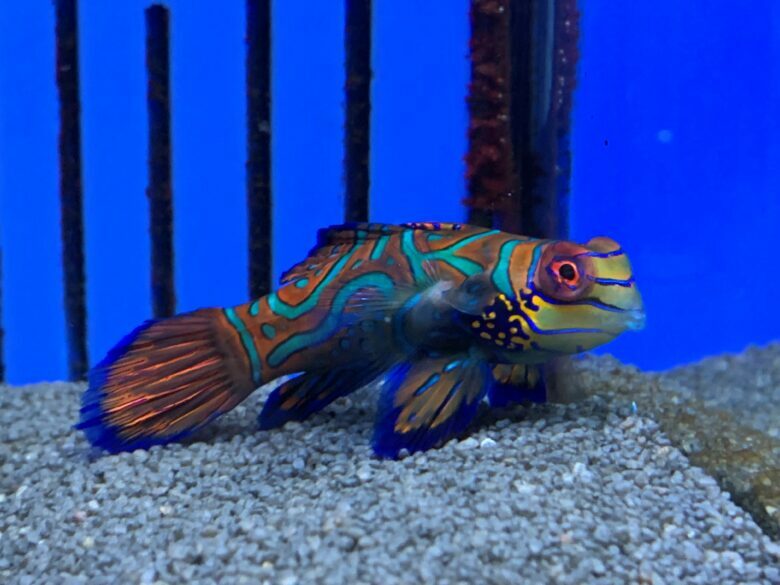 Some fish are hard work but well worth it and the gorgeous Mandarin dragonet (Synchiropus splendidus) has tempted aquarists for decades. 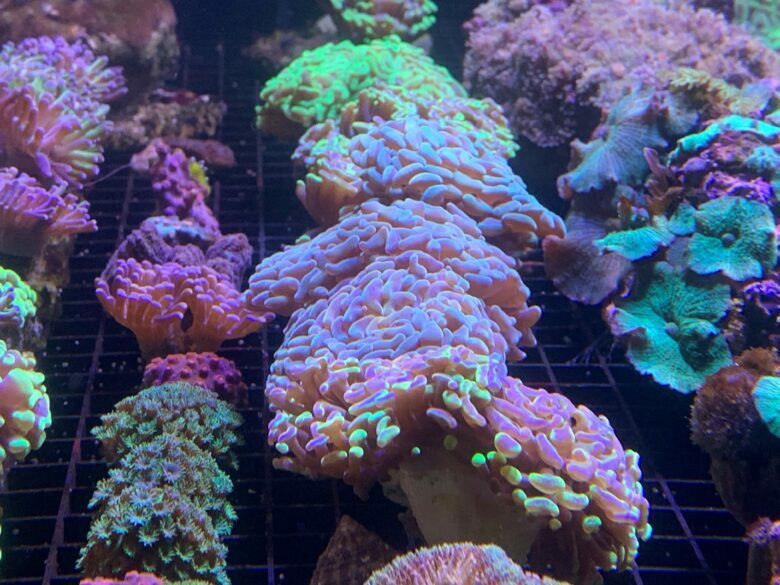 These independent little fish thrive in large, mature reef systems where they can hunt for their own food, supplemented by quality rations from their owner. 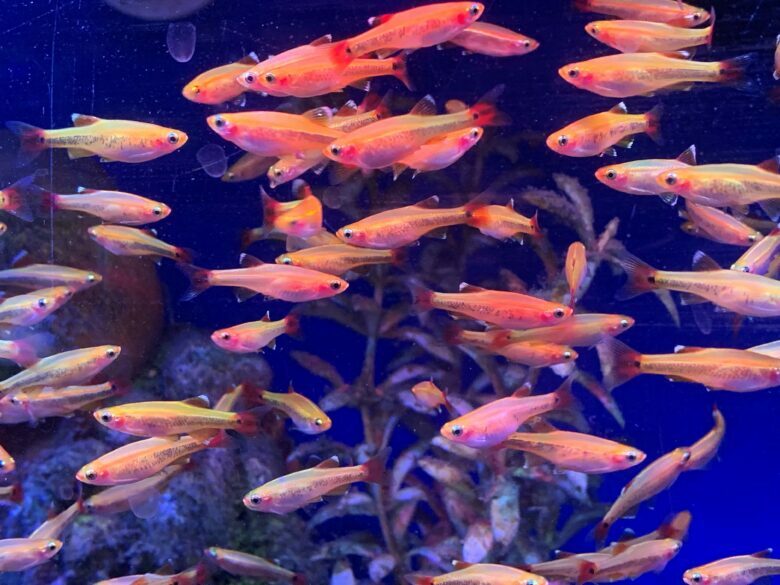 The widespread availability of live foods such as copepods have been a boon to dragonet keepers, although they can also learn to take a range of frozen and dry foods. This handsome individual caught my eye at our Melksham store. Probably one of the hardest working fish in the hobby, the Whitecloud mountain minnow (Tanichthys albonubes) is often rejected as an alternative to goldfish on the grounds of a lack of colour. If that’s an issue, the gold form is an elegant solution that can be happily mixed with the original wild type (that’s actually very colourful if you look closely!) and shares the same virtues that make it such an excellent aquarium fish. This batch were looking good at Coventry . 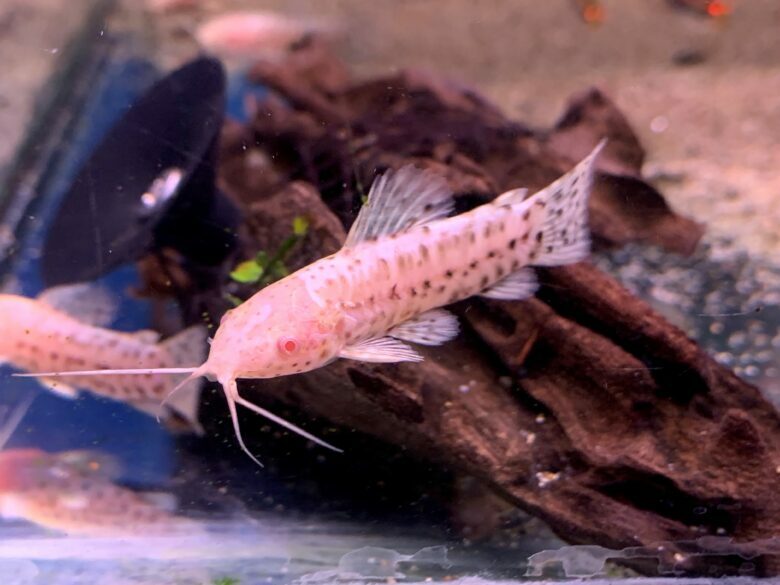 Albinos can be rather marmite fishes that split opinion but even catfish purists like me can see the appeal of the new Albino Hoplo catfish (Megalechis thoracata). Like its familiar brown counterpart, this Corydoras relative is a good community fish for larger systems where its big and bumbling nature won’t disturb tank mates too much. As if this fish needed more to boost its appealing character, the males are excellent parents who build a nest of bubbles to receive the eggs of visiting females. These youngsters were seen during a recent visit to Huntingdon . Please note that we are not able to answer questions or reply to any comments via this section - for any advice or information please call or visit your local Maidenhead Aquatics store. The information contained in this website is for general information purposes only. The information is provided by Maidenhead Aquatics and while we endeavour to keep the information up to date and correct, we make no representations or warranties of any kind, express or implied, about the completeness, accuracy, reliability, suitability or availability with respect to the website or the information, products, services, or related graphics contained on the website for any purpose. Any reliance you place on such information is therefore strictly at your own risk.